Have you ever just wanted to pick up that old guitar that is just laying around? Or found yourself bursting with creative ideas but don't know how to express them with a guitar? I want to show you my way on becoming the best guitarist you can be, in just a couple of simple and easy steps, as long as you provide some of your own time, dedication, and knowledge, YOU WILL BE A BETTER GUITARIST AFTER THIS TUTORIAL. And you will find a fun and enjoyable way to keep playing the guitar. After this tutorial you may find yourself choosing to play the guitar rather than doing other ordinary things. You will find yourself being exposed to different classes of art, culture and social statements, if this is your absolute first time choosing to play the guitar. This tutorial is for beginner and/or intermediate guitar players. Step 1 Understand that the guitar is a fun tool. Pick up and hold your guitar the right way feel comfortable with it. Make sure the guitar you are using is appropriate to your needs, whether it's an acoustic guitar, electric guitar, or bass guitar. Step 2 Understand your level of playing and how will you advance. Many players start out by having no prior musical or guitar knowledge whatsoever, and this is okay. And I believe it's a rather good way to start out. This gives you a personal relationship with how you are with a guitar. Many people such as myself have built upon that relationship and used it my advantage to be a better player. While being a complete beginner you understand the importance of how to play the guitar, such as how hard to play or "strum" each of the six strings for acoustic guitar/electric guitar or four strings for the bass guitar. 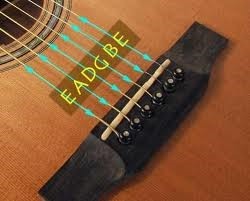 Also you will discover your own way to hold and have a feel for your guitar. A complete beginner will start realizing the one of the major important issues while playing your guitar is your ability to coordinate the "strum and play" factor. What I mean is the way you hold down a fret on the guitar and then play or "strum", that the right string that goes with the fret. It's okay to look down at the guitar and see where your hand is on the top of the guitar, and then see if you're about to play or "strum" the corresponding string with the other hand. Do not get ahead of yourself in speed. Stay at a lower than normal pace to gain confidence on what you are learning to play. If you are stressing out take a few breaths and try it again. Do not overexert yourself. Remember being happy is more important than being frustrated and not being able to play the guitar. If you feel confident you can proceed past step two. You more than likely have a "groove" to your guitar or a different/unique way of playing that helps you remember self learned techniques. Step three will introduce your style of playing, and I will tell a little bit of what guitar theory is and what you can learn to play while using guitar theory. Some starting techniques you could learn or have picked up are (from easiest to hardest) single finger note playing, chord playing, and "pick sweeping" or/and "alternate picking". After learning those styles of playing you can train your "tempo" or timing yourself with your playing to create how ever fast or slow of a pace you want to play. Next, you are going to want to learn guitar theory. Guitar theory is an understanding of the rules of playing guitar. It basically covers any music genre, and will most likely help anyone who don't know much about playing music and even help them learn a thing or two such as what a half-step is, what chords really mean, what a scale is, and what is a major and minor. There are many chords. In guitar theory, you can understand what chords sound good with each other, and also what notes sound good with other notes. If you don't know how to read music, just look at the tabs at first. There are many good tab sites such as www.ultimate-guitar.com, which is great for beginners. If you're an intermediate player, I would suggest learning to play notes, and at the same time learn guitar theory as well. Learning scales is a good place to start if you know about guitar theory already. Step 4 Practice guitar and enjoy playing. If you made it to step four, then you already should have a good style of playing, and know some good techniques to be playing songs you have learned, or just simply and my favorite being able to just JAM to your own made up riffs/licks. If you can practice all the time, keep your knowledge high about guitar theory, and most importantly have fun doing it all. YOU WILL BECOME A BETTER GUITARIST.